The Pokemon Company is releasing a summer themed mini figure collection called “Assemble! 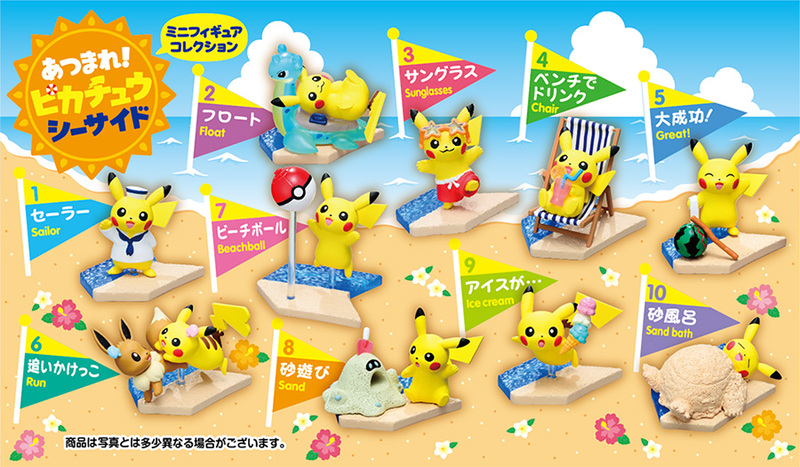 Pikachu Seaside” at Pokemon Center locations in Japan on July 13, 2018. There are 10 different figurines to collect. You can’t pick the design you want but if you buy an entire carton you should be able to get a complete set. Each mini figure costs 463 yen (excluding 8% sales tax).